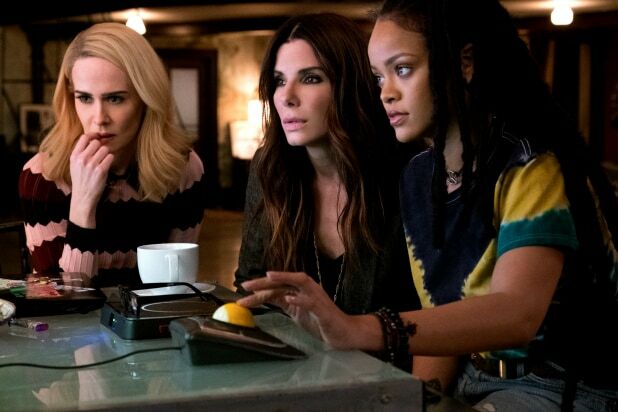 Between "Ocean's 8," "Overboard," a remake of "Dirty Rotten Scoundrels" called "The Hustle" and a follow-up to "What Women Want" called "What Men Want," the surge of gender-swapped reboots in recent years is real. It's a smart way of dusting off proven properties with a fresh point of view. And thankfully, there's been an equal push to not just remake old movies with women but provide the right amount of diversity on screen in original properties as well. There's still a long way to go though, and we polled the women of TheWrap to see what favorite films they'd like to see get gender-swapped next. "Back to the Future" "Back to the Future" might be one of those movies that's too sacred to ever think of remaking. But it's also too popular to think it might not be inevitable. 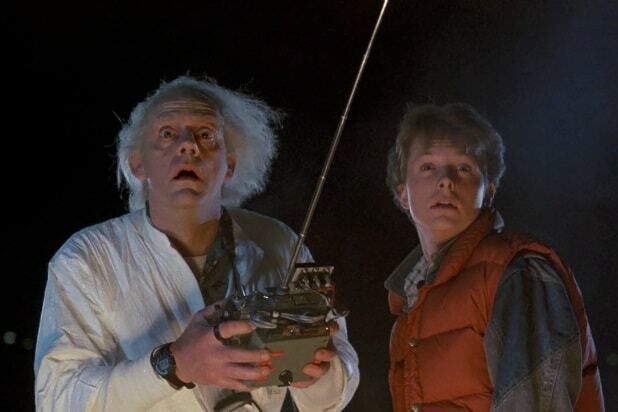 So if it were to happen, a female lead in the Marty McFly role might be the only way to go. The original is a teaching moment for Marty to overcome his flaws as he helps his father come out of his shell, and having a daughter bonding with a young version of her dad on how to get the girl of his dreams could make for an interesting character twist. 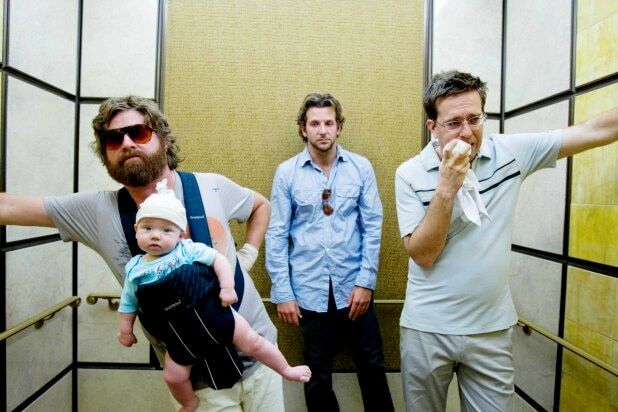 "The Hangover" You could make the case that there have already been plenty of remakes of "The Hangover," a movie that's not even 10 years old yet, including everything from "Bridesmaids" to "Rough Night" to the new Netflix movie "Ibiza." But none have been a specific remake of "The Hangover," which has a perfect narrative simplicity and a then-under-the-radar cast with surprising chemistry. We could see Riley Keough anchoring a trio that includes D'Arcy Carden and Aidy Bryant, three actresses who have made a name for themselves but could be massive stars with the right pairing. "Reservoir Dogs" Quentin Tarantino has found some explosive parts for women in his films, and we're glad he made "Kill Bill" and "Jackie Brown" rather than just a gender-swapped "Reservoir Dogs." So while something like this would never happen, it'd be fun to fancast how he might approach it with an all female cast. Uma Thurman's a lock. Jennifer Jason Leigh was great in "The Hateful Eight." Diane Kruger and Melanie Laurent were formidable in "Inglourious Basterds." And Margot Robbie could be a real wild card in his upcoming "Once Upon a Time In Hollywood." Imagine them all in the same film? "12 Angry Men" A jury full of women for a "12 Angry Women" doesn't seem totally realistic today, let alone if a remake were to be set in the 1950s. And Reginald Rose's teleplay is inherently about how men specifically react and change under pressure. But what if the reboot were called "11 Angry Men," and Henry Fonda's role as the one lone dissenter was a woman? Suddenly the story takes on a perspective of being a woman in a room full of men trying to find her voice. "Glengarry Glen Ross" Another theatrical showpiece in the vein of "12 Angry Men," we'd love to watch an office full of sharp-tongued, sales women deliver some of David Mamet's most iconic dialogue in a "Glengarry Glen Ross" reboot. Stick Helen Mirren and Jane Lynch opposite some young firebrands and watch out. "Home Alone" "Home Alone" came out in 1990, 28 years ago. So while it's gotten a few forgettable, slap dash sequels since then, a proper reboot seems in the cards. Quvenzhane Wallis might've been a shoo-in a few years back. Now someone like "The Florida Project's" Brooklynn Prince might have the mischievous charm necessary to match up with Macauley Culkin's Kevin McAllister. Pair her with Melissa McCarthy and Kirsten Wiig as your burglars and you've got yourselves a hit. "The Sting" If "Ocean's 8" does well, "The Sting" would be the next ideal crime caper to remake. The Best Picture winning period drama has class and creativity that could be ideal for two female grifters. The key is just finding a duo that has the movie star mystique and chemistry of Robert Redford and Paul Newman. We could see an "American Hustle" reunion in the cards for Amy Adams and Jennifer Lawrence. "Twins" Gwendoline Christie is 6-foot-3, even an inch taller than Arnold Schwarzenegger, who played a perfect specimen in "Twins" opposite Danny DeVito. While a dopey "Twins" remake would almost certainly be "beneath" what they're capable of, she and Elisabeth Moss proved they have some offbeat, mismatched chemistry in Jane Campion's "Top of the Lake: China Girl" as well a sense of humor.